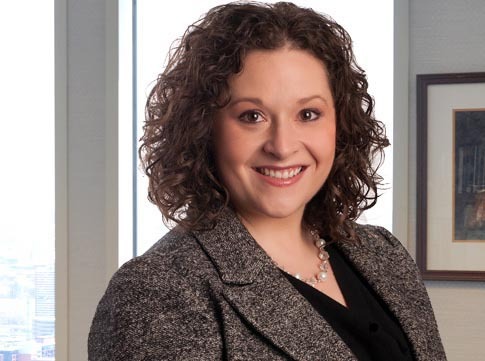 Diana Marianetti, attorney in Maslon's Estate Planning Group, will co-present at Minnesota CLE's 2019 Family Law Institute on March 19, 2019. During her presentation, titled "Planning for What You Hope Doesn't Happen: Divorce and Estate Planning," she will explore common issues from both the family law and estate planning perspective. The session will include practice tips on life insurance, buy-sell agreements, trusts, beneficiary designations, spousal maintenance, and more. Diana works with clients in all stages of life to plan for both the expected and the unexpected when it comes to estates and business succession. Whether assisting a young family to create their first estate plan upon the birth of a child, planning an exit from a family-owned business, or helping resolve a dispute upon the death of a family member—Diana helps clients think through the key considerations, define priorities, and accomplish their goals. She particularly enjoys helping young families and women business owners, who so often neglect this critical aspect of their success. For more information or to register, go to: 2019 Family Law Institute.